Level Requirements: Be at or higher than base level 50. 1. 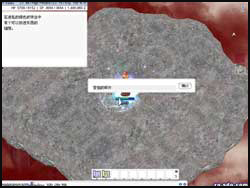 Enter the prontera castle (located top center prontera). Inside, in the basement off to the left, you should find 3 npcs, "Charles Orleans", "Girl holding a cat", and "Madeleine Chu". Madeleine Chu will give you the quest. Once you complete the quest, he will sell you cooking items. Charles Orleans will teach you about cooking. Once you complete the quest, he will lend you cooking manuals. 2. Talk to Madeleine Chu. Out of the three options it gives you, chose "I want to learn how to be a cook". Madeleine will ask you to speak to her master. In order to show your enthusiasm, you will be asked to wear a cook hat. 3. Wearing the cook hat, talk to Charles. After talking to him, he will chose a random level 1 food to make. He'll tell you the ingredients for this food, and you'll need to bring them to him. 4. After bringing him the required items, you'll make togeather your first food item. He'll give you the food item that was created, but you may want to hold onto it for later. 5. After you're done making the food, return to Madeleine. Madeleine will let you have his copy of "Level 1 Cookbook", and give you 10 outdoor cooking sets. 6. Now that you have a level 1 cookbook, you'll be able to make food items on your own now. Madeleine will sell you outdoor cooking sets for 500z, but still won't sell you any home cooking sets. This time, you will need to ask them if they want to see your cooking. You will be asked to create one of each kind of level 1 food (Look in your cookbook for recipies). 7. Once you're done, bring Madeleine your foods that you've made. You can use the one you created with Charles as one of these foods. Madeleine will package these foods in a "Bundle of Food", and you'll need to bring it to Payon. 8. 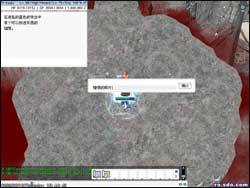 Deliver the bundle of food to the person, the location shown on the map. 9. Return to the prontera cooks. Madeleine will give you 10 home cooking sets. At this point, Madeleine will allow you to buy home cooking sets for 1000z. They're a bit pricier than regular cooking sets, but the bonus success makes it more useful. 10. Talk to Charles once again. Charles will now let you use his cookbooks if you help him with some items he needs. you'll have to find them from monsters. 2. 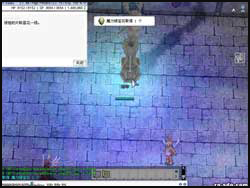 A guide on Thanatos Tower 2F (tha_t02 231 161) blocks the entrance to 3F. 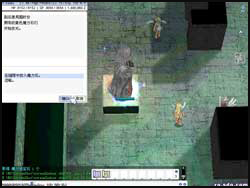 You will need to gather 5 or more players will the guide open the door to 3F. Its not required that you be in the same party to enter. If you have not recieved the quest from step 1, you will not be able to enter this portal. 4. On 4F (tha_t04 195 195) you'll find another strange mechanism. The mechanism can be opened by solving a puzzle, similar to mastermind if you've ever played it. The machine will guess 3 numbers between 1 and 9 (none repeating), and you will be required to crack the password. Each round you can guess 3 numbers from 1-9 (no repeats), and the machine will inform you how many of the numbers you chose were correct and in the proper location, and how many numbers are correct but not in the right location. You have 5 rounds to guess the correct code or you will be required to restart. When you correctly complete this puzzle, you will obtain a Yellow Key. 5. On 5F (tha_t05 101 37), there will be a third mechanism. This device is closed so strongly that you can only open it with the strength of many. Attempting to open the mechanism with 3 or more people nearby to help will gain you the Blue Key. 6. On 6F (tha_t06 43 152), there will be a fourth mechanism. Nearby, there will be 5 wheels which you can turn and adjust. Through trial and error, turn all the wheels so they make till they make the same sound and the machine will activate. Here you will obtain the Green Key. 7. On the 9th floor (tha_t09 19 168), you will find the last mechanism. In order to open this, you will require either the red key or red charm stone, yellow key or yellow charmstone, the blue key or blue charmstone, and green key or green charmstone. With all 4 of these items, you will obtain the Black Key. 8. Once you've obtained all 5 colored keys you'll need to backtrack a bit (You may find it easier to leave the tower and come back). Returning to 4F (tha_t04 150 44), you will find a magical seal. When you try to open it, type in "Blue Key", and you will recieve a Blue Charm Stone. 9. On 5F (tha_t05 218 116) you will find a second magic seal. Enter "Red Key", and you will recieve the Red Charm Stone. 10. 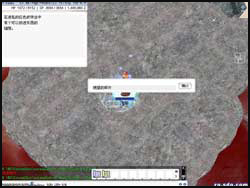 On 6F (tha_t06 226 230) you will find the third magic seal. Enter "Black Key", and you will recieve the Black Charm Stone. 11. 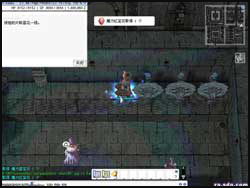 Now on 7F (tha_t07 113 129), you will find the fourth magic seal. 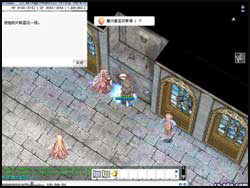 Enter "Yellow Key", and you will recieve the Yellow Charm Stone. 12. 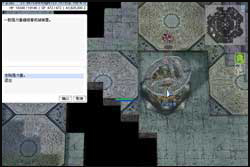 On 10F (tha_t10 129 159), you will find the fifth and final magic seal. Enter "Green Key", and you will recieve the Green Charm Stone. 13. With all the magical jewels, you are now ready to open the pathway to the top of the tower. Make your way to the uppermost floor. 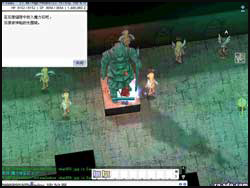 On this 12th floor, start by placing the Red Charm Stone into the first statue (tha_t12 96 58). 14. Place the Yellow Charm Stone into the second statue (tha_t12 161 58). 15. 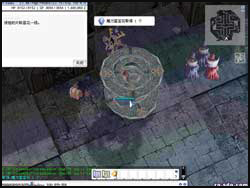 Then place the Blue Charm Stone into the third statue (tha_t12 104 18). 16. 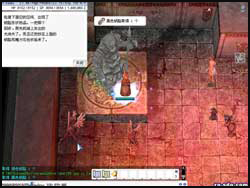 Place the Black Charm Stone into the fourth statue (tha_t12 128 86). 17. Place the Green Charm Stone into the final statue. The pathway to the top of the tower should now appear. 18. On one of the edges of the tower, on one of the floating platforms you'll find a magic circle (thana_boss 217 167). For this you will need to have the item "Fragment of Agony" or you will be unable to proceed. 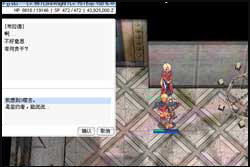 Fragment of Agony is dropped by Dolor of Thanatos. 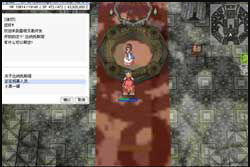 Select the magic circle and enter "Fragment of Agony". At this time, a Dolor of Thanatos will appear. 19. 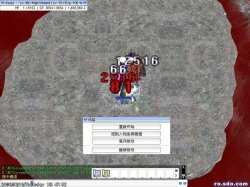 Once the first wave of monsters is defeated, proceed to the second platform (thana_boss 202 75). This time you will need the item "Fragment of Misery". Without this item, you will be unable to proceed. 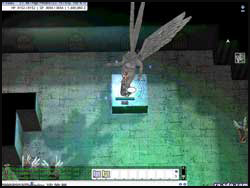 Place the Fragment of Misery in the magic circle, a Maero of Thanatos will appear. 20. On the third platform (thana_boss 80 76), you will need the Fragment of Despair. When you place the fragment, a Despero of Thanatos will appear. 21. 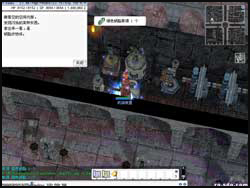 On the fourth platform (thana_boss 62 171), place the final stone, the Fragment of Hatred. With this stone in place, a Odium of Thanatos will appear. 22. With all four stones in place, you can finally break the seal. On the final platform, there will be a switch (thana_boss 141 218). By activating this, the Thanatos Phantom will appear to fight you. Good Luck!